I really like this bridal portrait I composed upstairs in the old barn at Holly Hedge Estate. 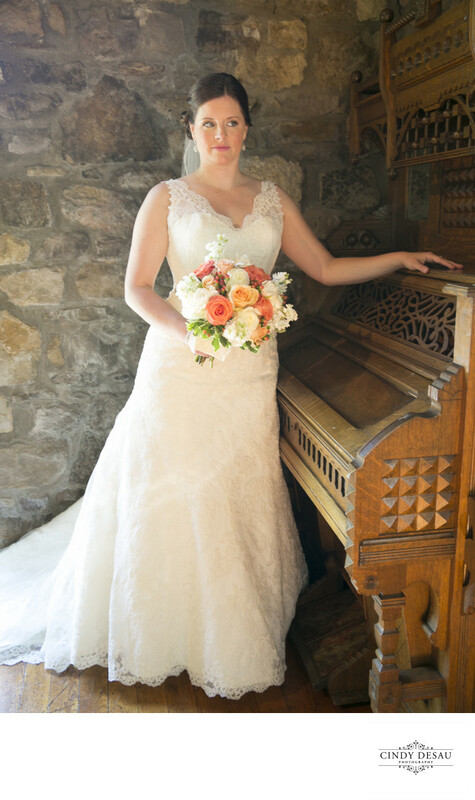 I find the warm tones of this image very pleasing, and compliment her wedding colors featured here in her bridal bouquet. I posed her with this antique organ, and the shallow depth of field adds to the softness of this photo. I also love this bride’s expression as she looks forward to her wedding day.